Happy Hobbit Day! What is this day, you ask? September 22nd is the fictional birthday of both Bilbo and Frodo Baggins, the hobbit protagonists of J.R.R. Tolkien’s The Hobbit and The Lord of the Rings, respectively. 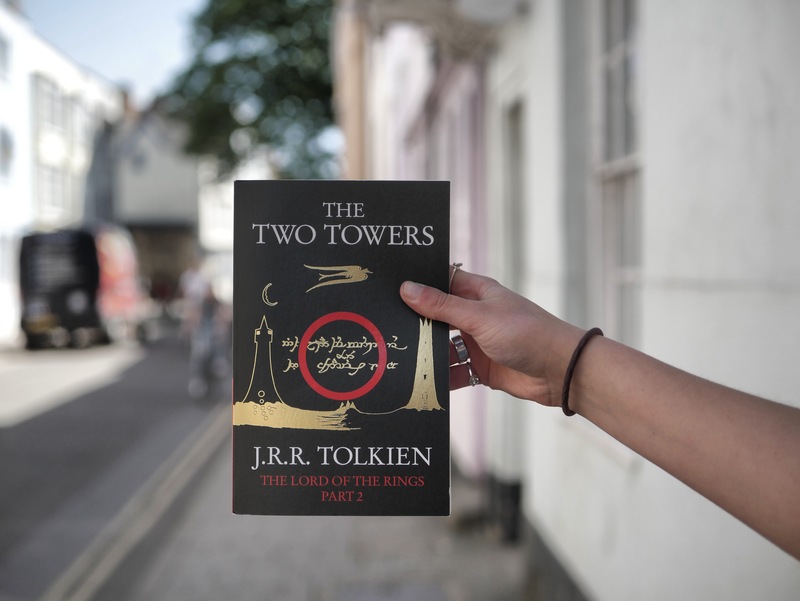 The holiday was first established in 1978 by the American Tolkien Society. 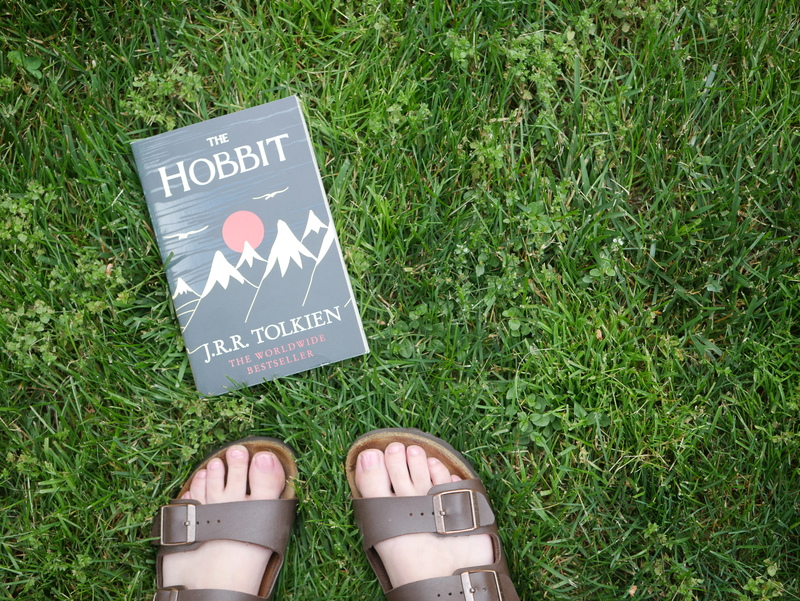 If you’ve followed this blog for a fair amount of time, you’re likely well aware that The Hobbit and The Lord of the Rings are arguably my favorite books ever. (I know. A bold statement to make.) I started reading them when I was in fifth grade and have reread them all countless times since then. I adore their charming wit, their captivating sense of adventure, and the familiar nostalgia they fill me with whenever I flip through their pages again. 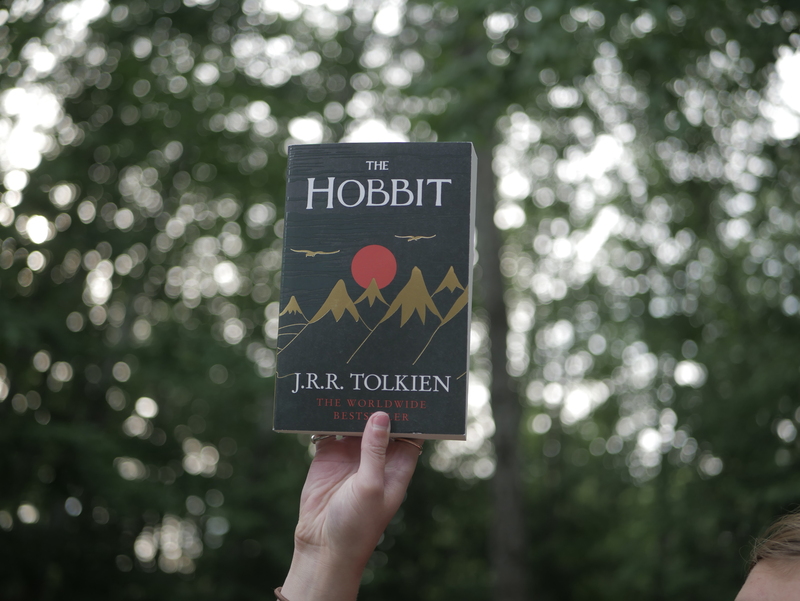 In honor of Hobbit Day, I’d like to share some Tolkien-y book photos! 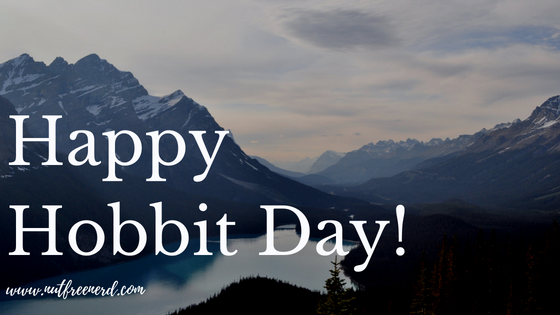 Hope you have a great Hobbit Day! 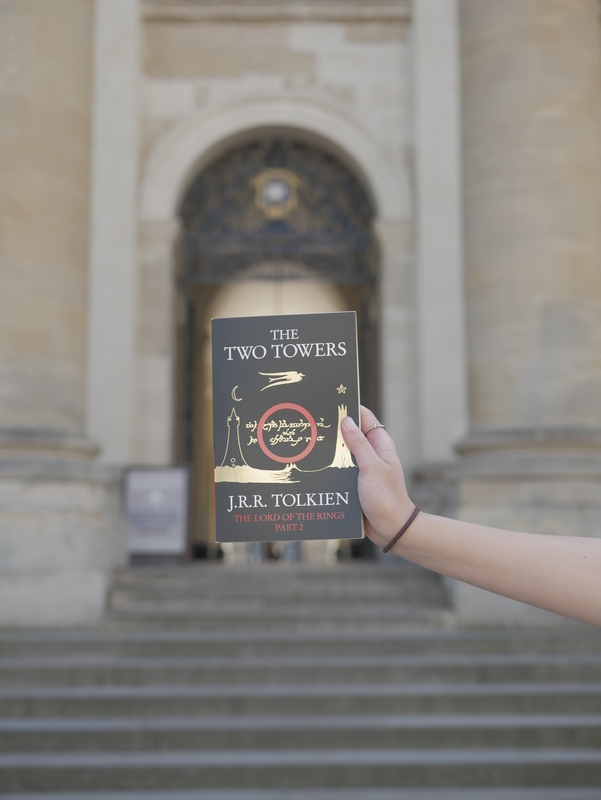 What’s your favorite Tolkien character, book, setting, etc.? Let me know in the comments section below! I love the photos! LOTR is my favorite book too, so I’m celebrating Hobbit Day with my friends by eating second breakfast together! The Lord of the Rings is my favorite book! If I absolutely had to pick a favorite setting, it would probably be Rohan or Lothlorien. Or Rivendell. Not Hobbiton, actually. 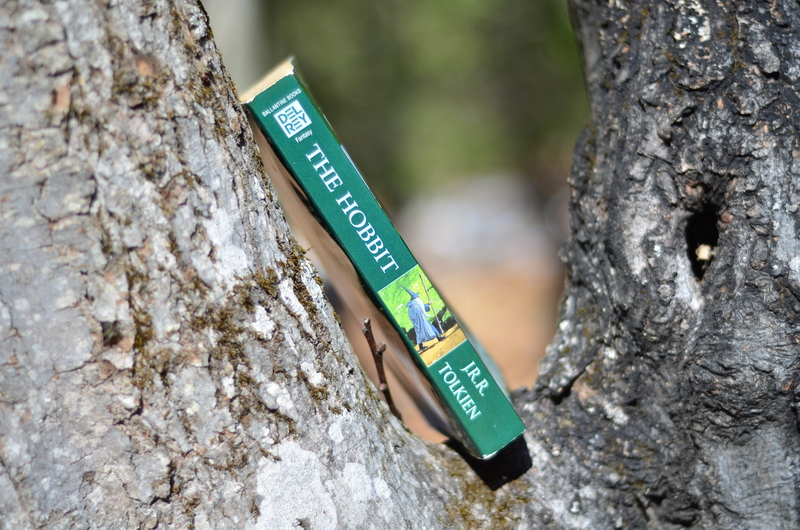 I just started a rereading project on my own blog and have discovered that hobbits are way more gossipy than I ever realized. Hahaha that’s a great distinction that I never thought about—hobbits do seem to love gossip! Didn’t know they had a day xD lock everybody celebrates Harry Potter’s birthday and the start of classes at Hogwarts haha but this is cool to know. Thank you! I studied abroad in Oxford, England, which is where I took most of these photos. It was such a beautiful place to photograph books! 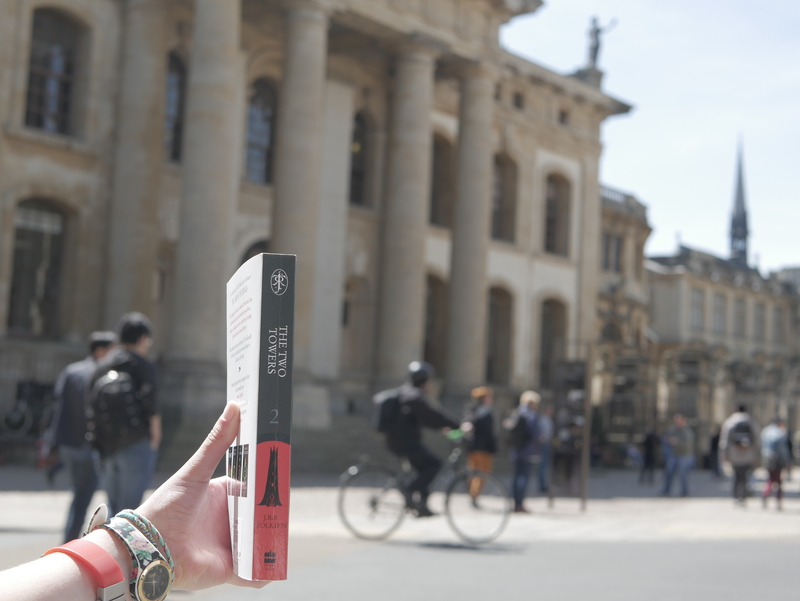 I studied English literature there on my year abroad—it was amazing! Oh my!! That was my dream!!! :3 and it kind of is still!! I’m so happy for you!!! 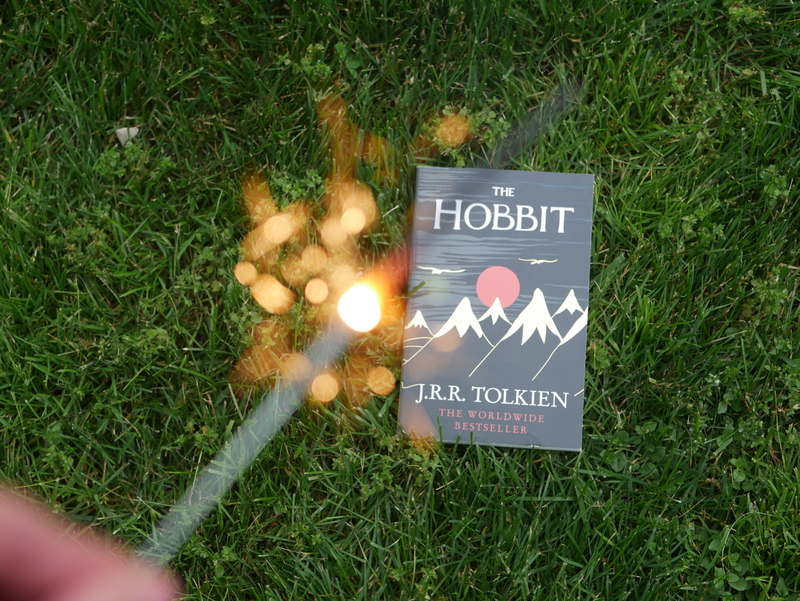 Ooooh I love the picture you have of The Hobbit with the firework sparks in the foreground! 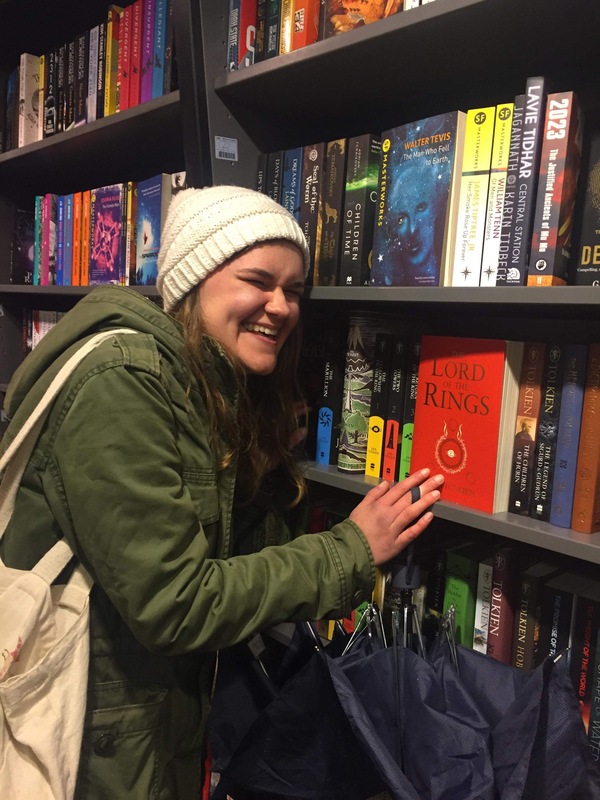 😯 And my second favorite is the one of you in the bookstore pointing to the copy of Lord of the Rings — I feel like that perfectly captures my excitement and expression every time I walk into a bookstore. 😋 Happy Hobbit Day to you, too! Happy Hobbit Day! Those are such beautiful pictures! Makes me want to dive back into the world of middle-earth! I never understood why hobbits get more attention than dwarves. Oooh true–dwarves definitely deserve more attention! They’re so interesting.